My wife and I have developed somewhat of an agreement whenever we’re in the car. We sort of take turns with the driving duties, and consequently we also alternate who will be the passenger. Over time, the job of passenging has evolved to include having control over the radio/CD player. Since there’s very rarely anything worthwhile on the radio, this usually means being responsible for selecting CDs for the duration of us traveling. Now, we do have a bit of an overlap in our musical tastes, but that isn’t always the case — there are plenty of things I like that she might not have chosen, and vice versa. But after repeated exposure, I’ve discovered that we each have been adapting and expanding our comfort zones a bit, in terms of what we listen to. For example, with her obsession over neo-folk/bluegrass styles, I’ve begun to develop an appreciation for some of this material as well. 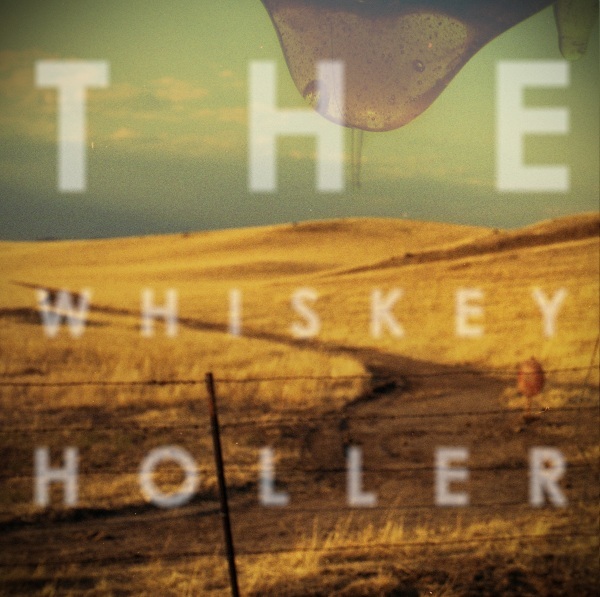 So recently when I discovered the the Pittsburgh-area band The Whiskey Holler, they really grabbed my attention. The band released a five-song EP last month, which you can listen to (and buy a digital download) via the Bandcamp widget below. If you like what you hear, feel free to click through to Bandcamp, because they’ve also got a couple earlier demos and a live recording, all of which are free for the taking. The loose, earthy vibe throughout these songs brings to mind some of Kings of Leon‘s earlier work, before they turned all polished and poppy. 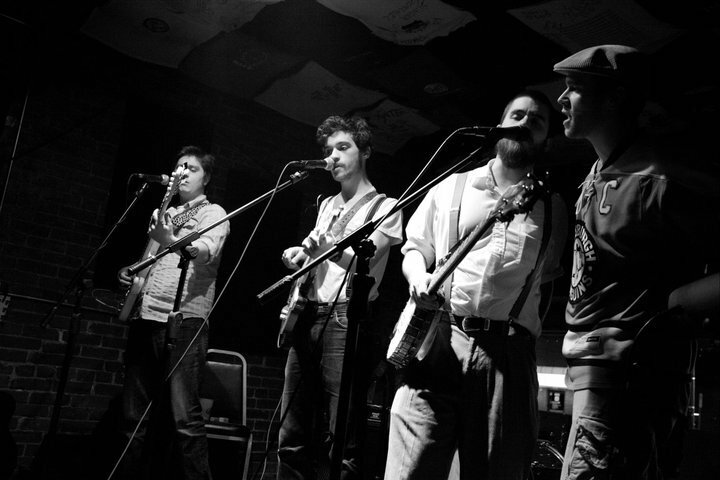 The vocal work seems to hover somewhere between KOL and Mumford and Sons — the latter comparison being particularly prominent in some of the haunting, echoey melodies, and the multi-part harmonies (such as the a capella section that introduces “I Get Dreaming”). The combination of bluegrassy finger-picked acoustic guitars and bluesy reverby electrics makes for a nice blend of country/folk/rock, and the occasional addition of swirly organ sounds gives “Style to Sleep” and especially “Let’s Dance, Let’s Scream” an interesting psychedelic, funky flavor. The aforementioned “I Get Dreaming” delves into a somewhat more straightforward country-rock style, with some vintage color provided by a slightly-distorted organ solo. Shuffling along like a lazy summer day, the longest track here, “Let’s Go Home,” builds upon a simple, driving rhythm in the drums, and layers a piano part in between the guitars and vocals. Finally, stripped down to just one acoustic guitar and vocals, “Your Loudest Drawl” draws the EP to a close with a sweet little country ballad. If you’re in or near downtown Pittsburgh tomorrow (31 May 2012) at lunchtime, The Whiskey Holler will be appearing in Market Square as part of the “Thursdays in the Square” program. Every Thursday throughout the summer, there will be a farmer’s market between the hours of 10-2, with live music provided from 12-2. See more details (and a full schedule of events) here. If you aren’t able to catch this performance (or even if you are, but you’d like to hear more), the band has a few more upcoming shows throughout the area, which you can keep track of here. This entry was posted in Free Downloads, Free Stuff, New Releases, Pittsburgh, Reviews, Shows and tagged Allison Park, Ben Wagner, Colin Bates, Kings of Leon, Kurt Giammattei, Lukas Truckenbrod, Market Square, Mumford and Sons, Pennsylvania, The Whiskey Holler, USA. Bookmark the permalink. Get ’em While They’re Hot: Download Batillus Tracks from Recent Split LP for FREE! thanks for the reviews. we appreciate the kind words. did you make it to the show? I’ll definitely plan on checking you guys out some other time when I can see the whole thing, and also when I can bring the Mrs. with me, because I’m sure she’d like it too! sounds good man. june 15th is the next show at Brillobox. introduce yerself.